Today brings us to the fourth and final week in our series of Advent celebrations. Each year at Christmas, I am gripped by the journey of the Wise Men. I have this insatiable longing to mine deep down to glean the wonder of their participation in The Story. I ask, “What am I missing? What can I learn? What is still here waiting to be discovered?" When I stop the noise of the holidays, the chaos of our world, the confusion of materialism, the concern for our future, I am left with a stunning sense that this is what Christmas is about. Please join me for their journey in Matthew 2. Yes, the Magi were relentless in their pursuit. They pushed and pressed. But when they arrived, they stopped! They did not keep searching. The star stopped, because the search was over. Two thousand years later, you and I battle the temptation to search the Internet, to text the tribe, to turn on the TV in pursuing meaning and purpose in life, in seeking genuine, authentic connectivity. We push and we press—toward prestigious promotions, secure retirement plans, full social calendars, platforms of influence, exotic holiday destinations, tech toys, and other mirages of material glee. We place unrealistic expectations on husbands, homes, children, and churches in our own longing for simple soul satisfaction. All to discover the ache surfaces again and again and again. 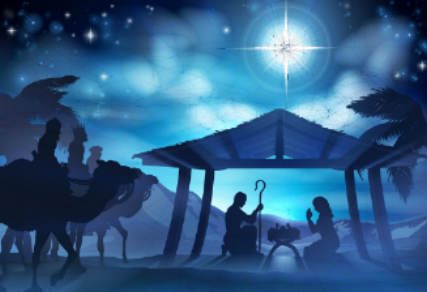 The star still stops…with Jesus. In our push to please, in our pressure to perform: the star stops with Jesus. In our search for security: the star stops with Jesus. In our seeking significance: the star stops with Jesus. In our longing for intimacy: the star stops with Jesus. With our need to matter somewhere to someone: the star stops with Jesus. In our thirst for authenticity: the star stops with Jesus. With our yearning for success: the star stops with Jesus. In our desperate hope for the future: the star stops with Jesus. His name is Jesus, Jesus. In the Name of Jesus, may you and yours have a Merry, Blessed Star Stopping Christmas! 1. Which highlight concerning the Wise Men do you want to influence your Christmas celebration? 2. What do the Wise Men teach us about worship? 3. Is there an ongoing push or pursuit or longing in your life that needs to stop in the Person of Jesus? If so, what is it?